NAFI sponsors and administrates the National Flight Instructor Hall of Fame (HOF). Its purpose is to recognize those individuals who have made significant regional or national-level contributions to aviation education and flight instruction while reflecting credit upon themselves and their profession. It highlights the important role flight instructors play as a foundation for the safety of the entire national air transportation system. Each year, an inductee is selected and honored. HOF nomination packets will be accepted in NAFI's executive office any time. Upon receipt, each packet is checked for required components, credentials are verified and references will be contacted. The selection committee will review all eligible packets and a decision will be made. The inductee will be named and publicly announced and a formal award presentation will take place. All eligible candidates not selected will remain in a pool for consideration the following year. Special provisions and accommodations will be made for posthumous nominations and awards. Being a role model for and a mentor to other aviation educators. Please send any questions regarding the HOF nomination process to [email protected]. Moran has previously been honored as the 2013 recipient of NAFI’s Jack J. Eggspuehler service award among other accolades. 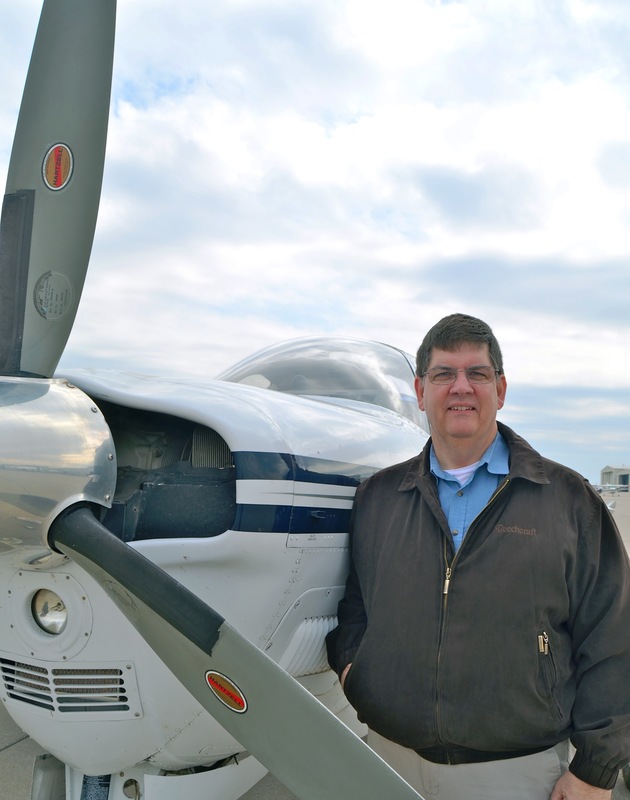 Moran started his aviation career as a general aviation flight instructor and later worked in the airline industry as a pilot and training instructor. he was a FAA check airman on many airline aircraft, including the boeing 747, which he flew for 12 years, and the boeing 767. He also spent many years in airline management as training supervisor, chief pilot and VP of safety and engineering. 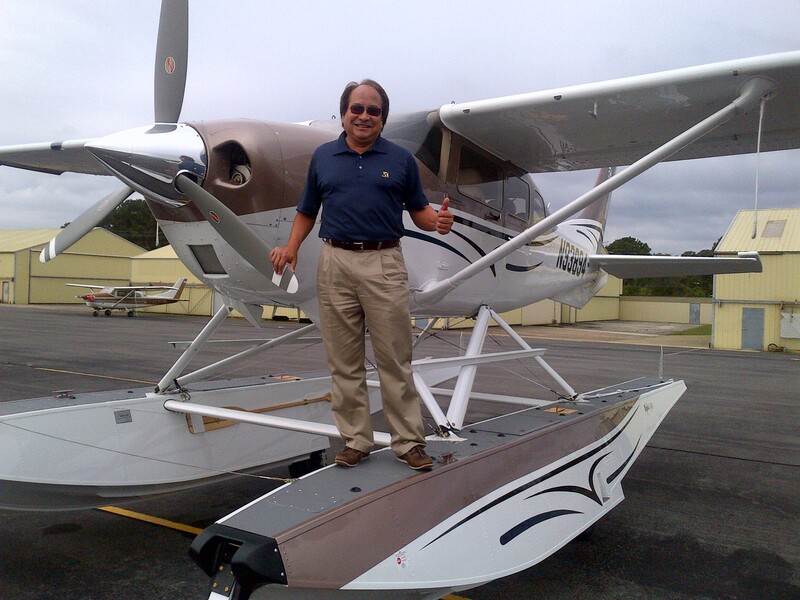 He has been active in general aviation as an airplane owner and flight instructor and has given more than 4,000 hours of flight instruction in GA airplanes and gliders. 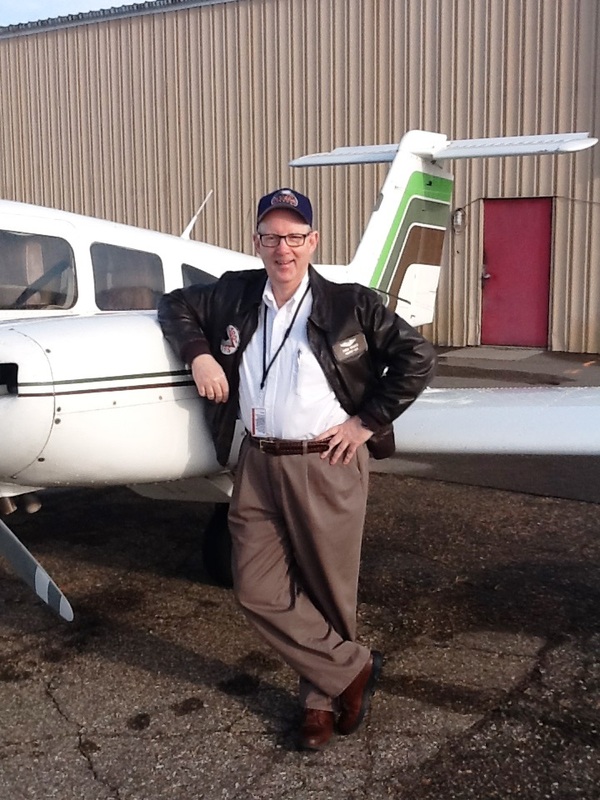 He currently works as an FAA designated pilot examiner, independent flight instructor and FAA FAASTeam member. He is a longtime member of NAFI and is an eight time NAFI master CFI since 2001. wallace lives in Summerville, South Carolina. Dr. Jerry Cockrell is a psychologist, aviator, humorist and in-demand speaker. His ‘down-home’ style and hilarious anecdotes have charmed, educated and entertained audiences around the world. This popular aviation personality has an almost magical way of getting important information across to diverse audiences while captivating them with very real and very funny material. Dr. Cockrell, a former Boeing 737 Captain, has over 20,000 flying hours including flying a Boeing 747-400 on international routes for an FAR 121 carrier. He holds a Ph.D. in Psychology and Education.Beginning his work in 1977, he was one of the earliest developers of Crew Resource Management programs. Since that time he has conducted more than 200 Crew Resource Management and Check Airman Safety Seminars for such air carriers as: United Parcel Service, Alaska Airlines, Air B.C., Air Ontario, Frontier Airlines, Overseas National Airlines, Mark Air, Reeves Aleutian Airways and Henson Airlines. Present day Teamwork programs originated with the development of airline Crew Resource Management training. Working on the forefront, Dr. Cockrell has been leading the way with his unique CRM, human factor and teamwork programs, inspiring others to follow.Jerry has worked with corporate, government and aviation groups including Mobil Oil, Arco, all branches of the military, the US Coast Guard and the FBI. Jerry has the honor of being one of the first speakers to make aviation safety presentations in all 50 states and internationally to England, Germany, Nigeria, Saudi Arabia, Zimbabwe, Mexico, Canada and Australia delivering over 3,000 safety and humorous presentations. Cockrell is also a popular speaker with The Aviation Speakers Bureau, which has been providing keynote and motivational speakers since 1986. Click here for more information. Tom Turner has been a flight instructor since 1988, after serving as an officer in the United States Air Force. He has served aviation in a variety of roles, most recently as Executive Director of the ABS Air Safety Foundation. In his tenure there, Turner developed programs such as the Beechcraft Pilot Proficiency Program and the ABS Flight Instructor Academy. These programs educate and standardize both instructors and pilots in the techniques of flying Beech aircraft, drawing on the collective experience of American Bonanza Society instructors over the past three decades. Fred Nauer has been a flight instructor since 1992, after serving as an officer in the United States Air Force. Bringing his experience as an Air Force F4E navigator to civilian aviation, Nauer has been a role model and mentor to younger and less-experienced instructors, leading by example and emphasizing safety in all areas of training. He is currently the chief instructor at Thunderbird Aviation in Eden Prairie, MN. Nauer also worked at EAA on a project called Wild Blue Wonders. This program was designed to introduce young people to science, math, and creative writing through a variety of learning experiences also designed to foster an interest in aviation. He revised the program to make it available to teachers and toured the country promoting it. Although the program ended in 2004, he continues to receive requests from educators for materials so they can incorporate them into their classroom and after-school projects. Working with Judy Rice, the navigation portion of Wild Blue Wonders was incorporated into Think Global Flight, a project designed for educators around the world to introduce science, technology, engineering, and mathematics (STEM) to their students. Using an around-the-world flight as the template, educators have the flexibility to introduce students to the subjects that interest them most, with partners at all educational levels from middle school to college. While earning his Masters in Aerospace Education at Middle Tennessee State University, Nauer partnered with Embry-Riddle Aviation University to develop a program to educate FAA air safety inspectors in the transition to and use of glass cockpit avionics in general aviation. With 30 yrs at Cessna Flight Operations, Kirby was responsible for all piston engine employee flight activities, demonstration and customer training. He is typed in six Citations. Kirby lead the development team, producing the FITS Accepted G1000 Transition Course. With more than 24,000 accident-incident-free flight hours including 14,000 hours as a flight instructor, he is an active flight instructor mentoring pilots in Caravans and Citation jets. Kirby works as chief pilot for Yingling Aviation’s aircraft management program flying a CJ3, CJ1+, Conquests and Caravans. He is also a FAA Designated Pilot Examiner conducting PVT, IR, COM practical exams as well as initial type ratings and FAR 61.58 recurrent checks in the Citation Mustang. Kirby was the 2002 National Flight Instructor of the Year. Greg is an 8,600 plus hour Airline Transport Pilot as well as a dynamic educator. Greg started flying in 1962 in a J3 Cub and received his Private Pilot's License in a 7 ECA with long time instructor Al Sabota and examiner Hugo Picco. At the time Greg was a member of the West Allis flying club which allowed him to get all his ratings starting with his private in 1963, commercial in 1966, and CFI in 1967. Greg was Chairman of the Career Pilot Program at Gateway Technical Institute for nine years and also taught for the National Association of Flight Instructors in 1976. The then founded Gaits Aviation Seminars, Inc. in 1977 and has been on the Presenter's Circuit for 43 years. Gaits Aviation Seminars has now graduated over 17,676 flight instructors. A common evaluation by the CFI's who take the Gaits Seminars is, "You made me want to instruct again". Greg flew charter for seven years with Scott Air Charter at Mitchell Field, accumulating thousands of hours in various turboprops including most Beechcraft King Air type aircraft the Beech Baron, Cessna 421, Shrike Commander, and Cessna Citation. During this time Greg had five children one of which (Mark) followed him into aviation getting his helicopter rating at Fort Rucker and is now a Colonel serving in the Pentagon. Greg utilizes his BA in Radio/TV Broadcasting and Announcing from Marquette University and his MS in Administration from the University of Wisconsin, as well as his Acting and Comic Opera Singing Career to provide a dynamic and fun presentation to professionals. Greg's Master thesis was titled. "The study of the effectiveness of the motion picture as an audio visual aid in the teaching of aviation". Greg's experience as an aviation expert witness since 1976 and past Milwaukee alderman enhances his presentation with real life humorous anecdotes. The Federal Aviation Administration named Greg the Flight Instructor of the Year for the United States in 1975. The National Association of Flight Instructors awarded Greg Master Flight Instructor Status in 1998 and Greg has renewed every two years since. Greg has written a number of articles for publications including FAA Aviation News, Midwest Flyer, Professional Pilot, and NAFI Mentor. Greg is a past member of the Wisconsin Aerospace Education Committee, a current Master Flight Instructor with NAFI, Captain and CFI check pilot in the Civil Air Patrol (specializing in G-1000 glass cockpit), and current member of EAA and AOPA. Greg's favorite pastimes are boating, riding his motorcycle, playing the organ, racquetball, and tennis. Rudy Frasca was born on April 19, 1931, the fourth child of Italian immigrants. He began taking flying lessons at the age of 14 and soloed shortly thereafter. In 1949, Rudy joined the Navy and was stationed at Glenview Naval Station, where he worked as a flight instructor teaching pilots on the early Link trainers. After the Korean war, Rudy left the Navy to attend the University of Illinois, where he did research in Aviation Psychology and honed his interest in the field of flight simulation. In 1958, putting together everything he had learned in the Navy and the University, Rudy built his first flight simulator at home in his garage and Frasca Aviation was founded (the name later changed to Frasca International to reflect the emerging character of the business). Over the years, Frasca simulators have developed a reputation for realism, reliability and affordability. As the number and reputation of Frasca simulators in use grew, the name “Frasca” began to be used as a generic term for simulators, becoming in effect a household word in the aviation training community. Although the company has grown dramatically, Rudy’s original mission remains the same: to design and manufacture high quality and reasonably priced flight simulators for training pilots worldwide. As the company grew, so did Rudy's collection of antique aircraft. 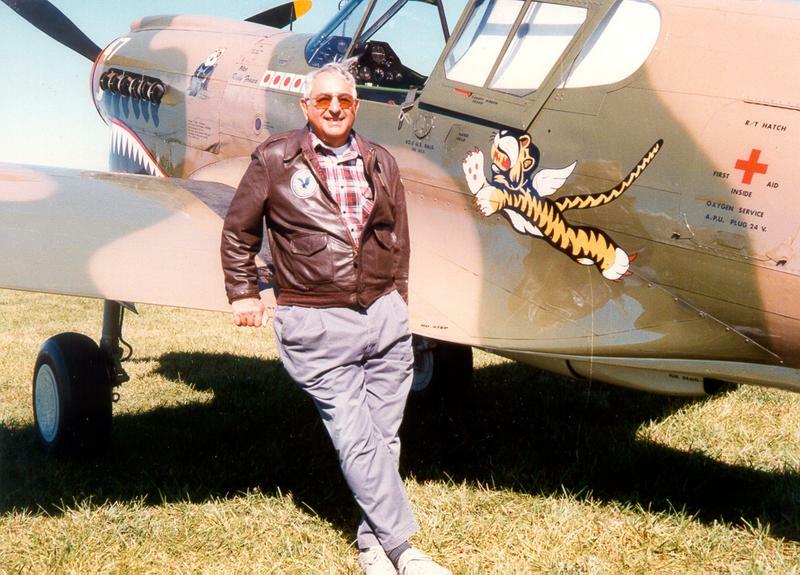 In 1968 Rudy purchased his first Warbird, an FM2 Wildcat which became the foundation for the Frasca Air Museum which now houses over 30 aircraft including a P-40, Spitfire, Fiat and others. The museum is housed at Frasca Field (formerly Illini Airport) which Rudy purchased in 1980. Rudy added a 4000 concrete runway and has purchased several hundred acres surrounding the airport for future development. Rudy is active in many areas of aviation and has held every office in the Warbirds of America organization. He has been a member of the Experimental Aircraft Association (EAA) since 1956 and has loaned several of his aircraft to the EAA museum so that the general public can enjoy them. He has received numerous awards both for his personal efforts and for Frasca International’s success in the simulation industry. In August of 2000, Rudy was chosen by the Illinois Department of Transportation to represent the state of Illinois at the National Aviation Hall of Fame Exhibit and Learning Center in Dayton, Ohio. Paul began his career as an aviation instructor in the Navy during WWII. He went on to start his own ground school, offering pilot rating courses from which the Sanderson Training System was developed. By 1968, more than 3,000 schools were using the Sanderson Courses in their flight training. The system helped make aviation ground instruction accessible and affordable. 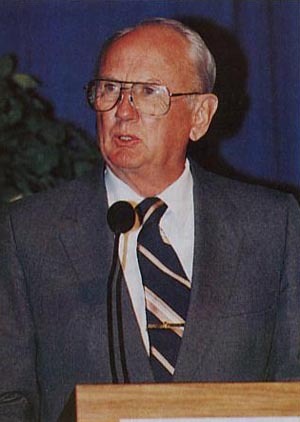 His programs and work became part of the basis for the Jeppesen flight training products that are used throughout the world in aviation education. Fifty years later, Sanderson’s basic training approach is still being used with success. His involvement in aviation education has been attributed with helping significantly grow the pilot population in the U.S. The result of the programs that started with Sanderson was the training of millions of pilots. His company, Sanderson Films, was sold to Times Mirror Company, which eventual merged with Jeppesen to form Jeppesen-Sanderson, now owned by Boeing. Jeppesen continues Sanderson’s legacy of providing pilot training and reference materials. Sanderson has been recognized by the National Aeronautic Association as an Elder Statesman of Aviation for his contributions to the aviation world. Joan has 65 years of aviation experience and started flight instructing in 1946 at Ohio University Airport in Athens, Ohio. Her strong interest in aviation began at Curtiss-Wright where she was responsible for checking landing gear, rivets, anf flaring panels. Later, the U.S. Army Air Forces accepted her for Women Air force Service Pilots (WASP) training. After the war, Mace found her commercial and instructor certificates were all she needed to become the only woman among 22 instructors at Ohio University Airport. As the first female chair of a university aviation department, she has opened doors for women in aviation, helping create a four-year bachelor’s degree program in airway science in the College of Engineering at Ohio University and establishing an aviation advisory board at the university. Charles became a flight instructor in 1947 and started Cardinal Air Training and the Conference of Flight Instructors (CFI) at Lunken Airport in Cincinnati. Fairbanks attended the original AOPA and Helicopter Association International (HAI) seminars. He is also an EAA flight adviser. With flight experience dating back to 1944 and including over 27,000 flight hours, he worked with Sporty’s in producing its first training video, “So You Want to Fly Helicopters.” As a member of EAA, AOPA, NAFI, Freemasons, Shrine, Eastern Star, Silver Wings, Quiet Birdsmen, the Professional Race Pilots Association, and HAI, Fairbanks has accomplished many things in the field of aviation. Hal Shevers founder of Sporty’s Flight Academy and Sporty’s Shops. Because of Hal’s tireless pioneering efforts, Sporty’s now delivers a variety of aviation educational services to tens of thousands of students around the world. He established The Sporty’s Foundation, created to support national educational initiatives directed toward youth. Through its support programs for young people, the foundation encourages a wide range of aviation career choices including avionic technician, engineer, mechanic and pilot. Hal Shevers has operated this world-renowned flight school while supporting youth aviation programs throughout the nation. A flight instructor for nearly fifty years, his commitment to excellence in education is unsurpassed. In 1939, Wolfgang Langewiesche’s gift for writing led him to a position with air facts magazine, and his first book, I’ll take the high road, promptly became a bestseller. in 1944, he published his most widely distributed work, Stick and Rudder. The basic facts about flying set forth in stick and rudder have withstood the test of time- more than 200,000 copies of the book had been sold by 1990, and it continues in print to this day. His role as a flight instructor, however, and his influence on the flight instruction community, is most pronounced in the articles he wrote for Harper’s magazine and Reader’s Digest during the later 1940s and 1950s. Among the most prolific Pilot Examiners of all time, Al Passell dominated flight training in the central United States from the 1960s onward. In the classroom and in the cockpit, his concise lessons remain etched in the minds of countless aviators, from local pilots to airline captains. Ralph Nelson (NAFI #4), founding father and Vice President Emeritus of the National Association of Flight Instructors (NAFI), had accumulated more than 10,000 hours in his logbook by the time he passed away in 2006. A safety crusader and innovative leader, he created and promoted A.M. Aviation Weather on public television as well as AOPA's Weekend Ground School. He also served as leader of the Aviation Safety Foundation and Flight Safety Foundation for nearly two decades. One of his lasting legacies is the General Aviation Awards program and the Certificated Flight Instructor of the Year award. 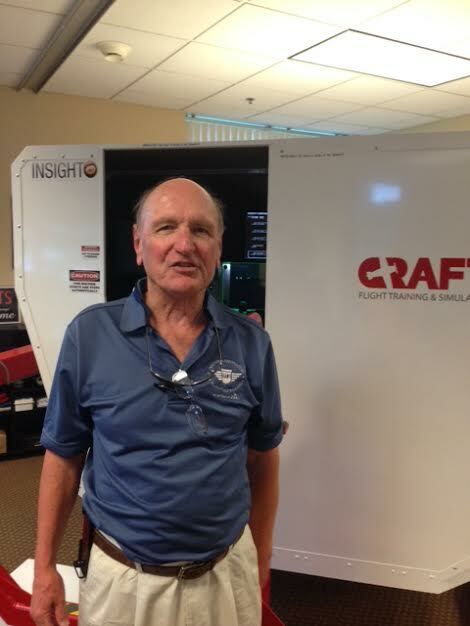 Howard Fried has logged some 40,000 flight hours in over 60 year of flying. He started training pilots in the US Army Air Corps during WWII, and moved to general aviation after V-J Day. In 1964 he established Drake Aviation, an active flight school with several locations in the Midwest. He has been a lifelong crusader for aviation safety and proficiency. He was one of the first FAA Designated Examiners in 1978, and conducted more than 4,000 check rides. Fried has also written numerous books and articles, sharing his insight to flight safety. Ricks is the founder of The Airmen, an organization dedicated to promoting safe formation flying; he established the organization in 1972. A pilot for over fifty years, he developed innovative techniques for teach formation flying that have come into wide acceptance. He has instructed in gliders, ag planes, biplanes, and seaplanes, as well as the more familiar single- and twin-engine aircraft. Schiff is an award winning journalist and author, who is well known to flying audiences for his numerous books and more than 1,000 articles published in 90 magazines. Many of his articles discuss personally developed concepts, procedures, and techniques that have received international acclaim. Barry has more that 26,000 hours logged in 272 types of aircraft. He holds five world speed records and has received numerous honors for his many contributions to aviation safety. 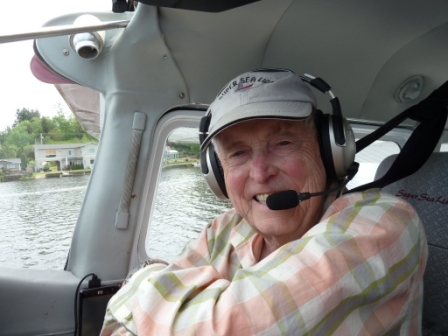 Jack Jay Eggspuehler, pilot, educator, restaurateur and founder of the National Association of Flight Instructors, passed away April 30 with his three sons at his side. He was 86 years old. He was born on March 12, 1930 in Des Moines, Iowa. He was a member of the Linworth United Methodist Church for 56 years. He graduated from Rock Island High School in 1948. 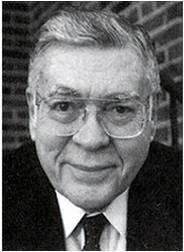 He earned his Bachelor of Science degree from the University of Illinois in 1954 and continued his education there with a Masters of Education. While in Champaign he met his wife, Joan Margaret Bye. 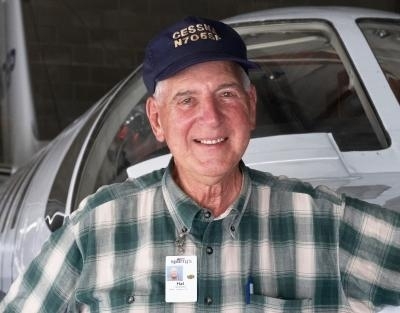 He began his flying career in the U.S. Air Force during the Korean War from 1951-1953, and served a long tenure as a flight instructor and professor of aviation at The Ohio State University before retiring from there in 1980. While at OSU, from 1958-1980, he was the president of The Ohio State University Faculty Club and helped raise $11 million for the University's Endowment Fund. He also founded several iconic restaurants in Ohio, and had a long career in banking. 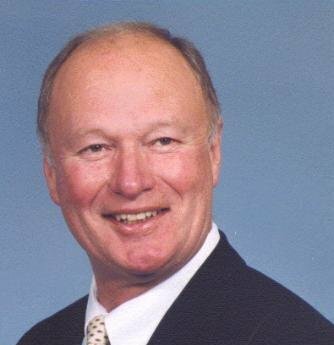 He was a longtime director of Heartland Bank, and was a proud member of the Quiet Birdmen. He also had a home in Cape Coral, Florida. Eggspuehler was a part of the U.S.-Soviet Pilot Exchange in 1972, 1976 and 1978 leading a group of flight instructors to meet with their counterparts in the early days of Détente. 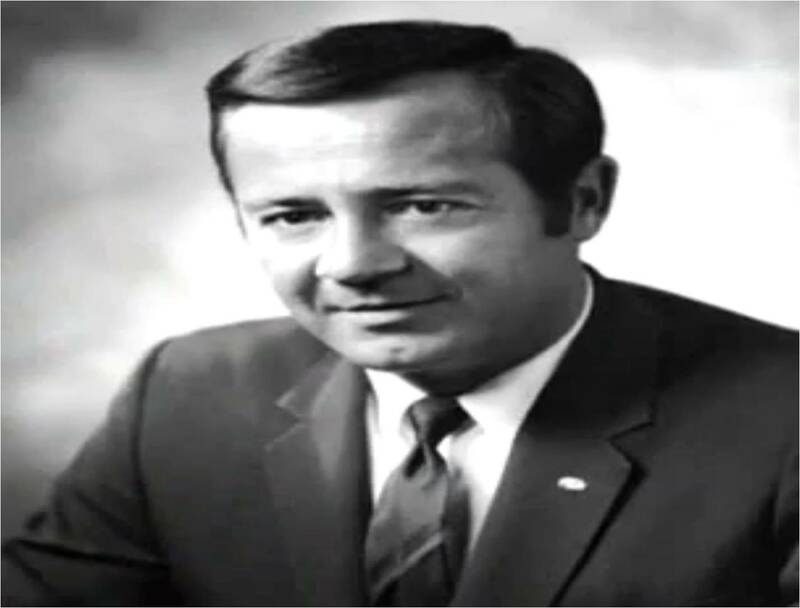 In 1967, Eggspuehler led a small group of aviation professionals to create the National Association of Flight Instructors (NAFI) with the intent of providing national recognition of the professional flight instructor. 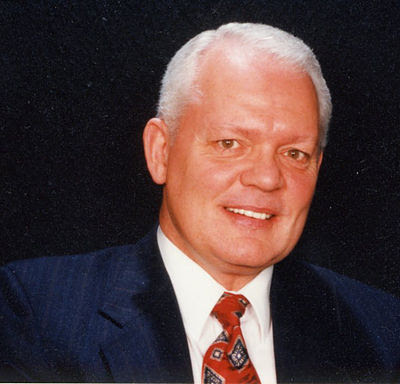 He served as the organization's president for 30 years. 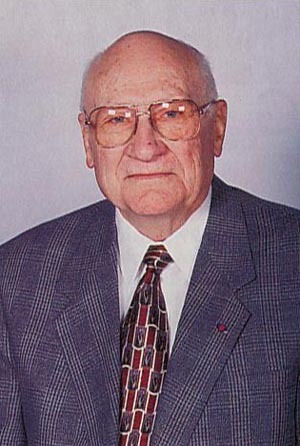 After his retirement from NAFI's Board of Directors in 2000, Jack was named president emeritus of the organization. In addition to his long association with NAFI, Eggspuehler served as president of Aerosafe Inc., a consulting firm working with defense attorneys in aviation lawsuits. 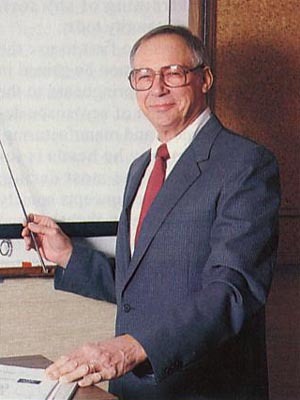 Aerosafe, which was founded in partnership with his wife Joan, who predeceased him in 2008, also provided worldwide correspondence courses primarily to help military personnel pass their FAA examinations. 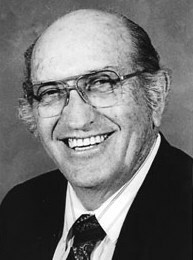 Eggspuehler was the recipient of many awards and honors in his distinguished career. He was a member of the Flight Instructor Hall of Fame. He was the recipient of the Aviation Week & Space Technology Distinguished Service Award, for "distinguished service in achieving safer utilization of aircraft," and was also recipient of the EAA's Chairman's Award. The National Aeronautic Association selected Eggspuehler in 2000 to receive its prestigious "Elder Statesman of Aviation Award." In announcing that award, NAA said: "Mr. Eggspuehler's name is synonymous with a lifelong pursuit of commercial and general aviation safety through education." 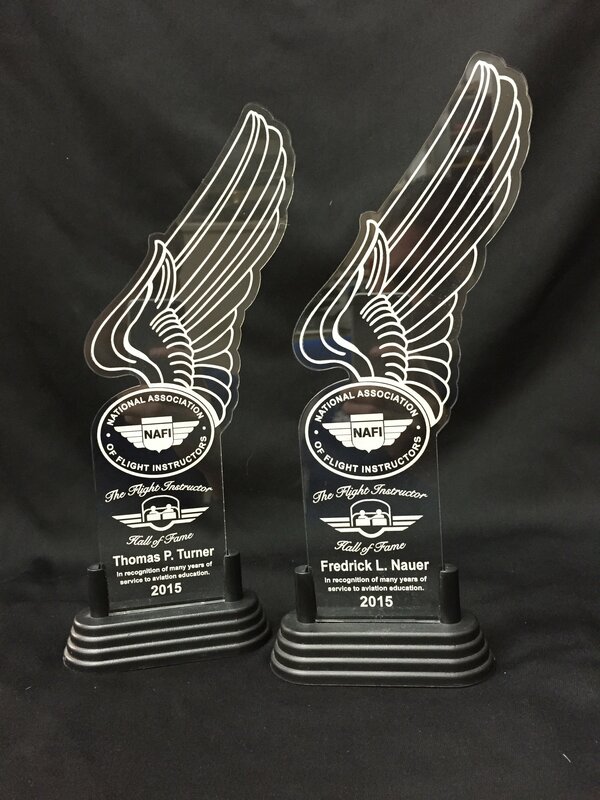 Other awards included the Flight Safety Award for Distinguished Service for achievement of safer utilization of aircraft, the University Aviation Association Wheatley Award in recognition of outstanding contributions to aviation education, and the Aircraft Owners and Pilots Association (AOPA) Meritorious Award for outstanding contributions to flight safety. Eggspuehler was one of the first FAA Designated Pilot Examiners to be granted authority to conduct initial flight instructor practical tests. He was also among the first to be appointed as an FAA Designated Written Test Examiner. He also served as chairman of the national panel to review pilot training and certification on the FAA Designated Pilot Examiner's Committee. In nominating him to the Flight Instructor Hall of Fame in 2002, Sandy and JoAnn Hill wrote: "He has never received industry recognition for his greatest contribution to aviation -- his mentoring. We have known Jack for 25 years. Throughout those years, he has been a mentor to us and to so many others! His deep commitment to expanding the base of aviation is evidenced by giving so freely of himself to help create opportunities for young people interested in careers in aviation. From him, legions of people ranging from beginning student pilots to aviation professionals with thousands of hours have learned about the world of flight. As a result of their associations with Jack, these people also learned firsthand the value of a sense of humor as well as the qualities it takes to be a truly effective educator." In 2015, the Board of Directors of the National Association of Flight Instructors honored its founder with its newly created Lifetime Achievement Award. At that time NAFI Board Chair Bob Meder said: "... he has helped raise the professional standards for the flight instructor. Perhaps more important, he has provided a venue that, for nearly 50 years, encourages instructors to educate each other, helping make aviation better for all. This award is merely a small token for the true appreciation we have for Jack's efforts." NAFI's Jack J. Eggspuehler Service Award, named in his honor, is presented annually to an individual or organization making a significant contribution to flight instructors, flight instruction or aviation education. He was chairman of the Department of Aviation at The Ohio State University and after retiring was Faculty Emeritus in Aerospace Engineering at the Center for Aviation Studies at The Ohio State University College of Engineering. Eggspuehler co-authored two books, "Studies of Pilot Performance in the Flight Environment," published by Ohio State University, and "Study to Determine the Flight Profile and Mission of the Certificated Private Pilot," published by the FAA. An accomplished pilot and teacher, Eggspuehler held the following FAA certificates and ratings: Airline Transport Pilot, Commercial Pilot, Multiengine Land, Single-engine Land and Sea, Rotorcraft-Helicopter and Private Glider, as well as Flight Instructor/Airplane Single and Multiengine and Instrument. He also held a Ground Instructor Certificate with Meteorology and Radio Navigation Certificates. Reid, who died in March 2001, taught more than 4,000 students to fly after beginning her California flight school out of the trunk of a 1959 Ford. Among her students was legendary air show pilot Sean D. Tucker. Over 60 years, she logged more than 55,000 flight hours. Anders Christenson was recognized for this honor because of his dedication to introducing aviation to the youth of his area. He initiated an aviation course where he taught at Edina Public High School, in Minnesota. He introduced more that 650 students to be at the controls of a Piper PA 150. In his last year before retirement, he had 21 pilots in the student body of 1650. In addition to teaching he served Minnesota as a Designated Pilot Examiner for forty years. In 2006 he and his wife moved to Maple Valley, WA, to be near their son. He still continues to serve as a Flight Instructor and on May 11, 2013 he attained the Golden Goal of having flown 30,000 hours. He humbly quotes his hero, General Doolittle, "I'd never be so lucky again". Dr. DeRemer is an ATP pilot with more than 20,000 flight hours and is also a Gold Seal Flight Instructor and was Field Director, Central Northwest region for the International Seaplane Pilot's Association. In 1998 he was named the 15th CFI to receive the NAFI Master CFI designation by the National Association of Flight Instructors. The Seaplane Pilots Association named Dr. DeRemer Seaplane Pilot of the Year, 1998. 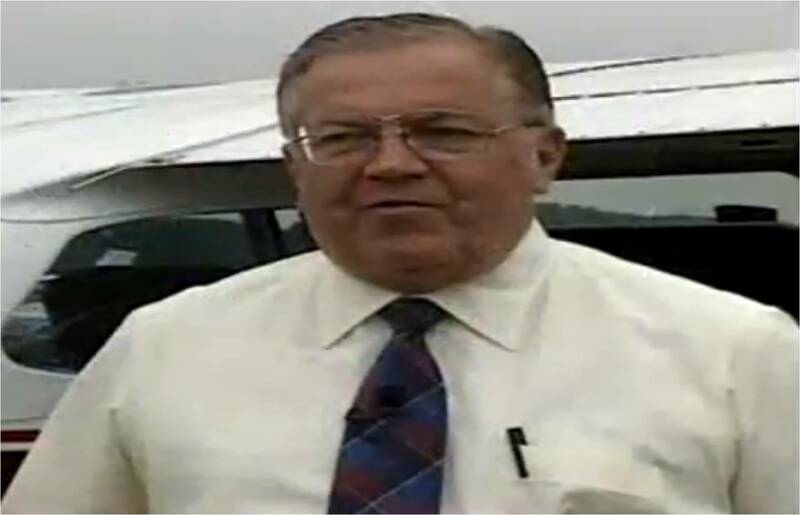 In 1999, The National Association of Flight Instructors and The Experimental Aircraft Association inducted him into the CFI Hall of Fame at Oshkosh, WI. He is the author of six books on aviation subjects, all of which are well recognized around the world. After many years as a consulting agronomist, irrigation system designer, and mine tailings chemist/reclamationist, Dr. DeRemer flew as chief corporate pilot for three companies, flying single and multiengine piston, multiengine turboprop and helicopters. In 1975 he went into semi-retirement and traveled to many parts of the world in his sailboat then, in 1981 started a new career teaching aviation. He has been known to say "I will probably never get any closer to heaven than being able to teach bright, goal-oriented young people about what has been my primary, life-long hobby." At the University of North Dakota, Center for Aerospace Sciences, Dr. DeRemer has taught Aerodynamics, Aircraft Systems, Avionics, International and Long Range Navigation, General Aviation Operations and Management, Seaplane Certification and was the founding advisor for the Wilderness Pilot's Association, an award winning university student organization. During the summer months, Dr. DeRemer conducted advanced wilderness seaplane courses into the Boreal forests and Arctic tundra of northern Canada. He also taught those courses in the equatorial jungles of the Americas. Verne Jobst has flown aircraft from B-17 bombers to 747 transports, as well as balloons and gliders during his 50-plus years as a pilot. He soloed at age 16 in an Aeronca Chief and got his first airline job in 1951 flying DC-3s for Capital Airlines. 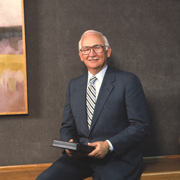 Capital merged with United Airlines in 1961 and Verne became a part of that company. He has also flown as a corporate pilot for such companies as U.S. Steel, C&O Railroad, and Blannox. Active in the sport aviation world, Jobst was president of the International Aerobatic Club (IAC) from 1973-78. 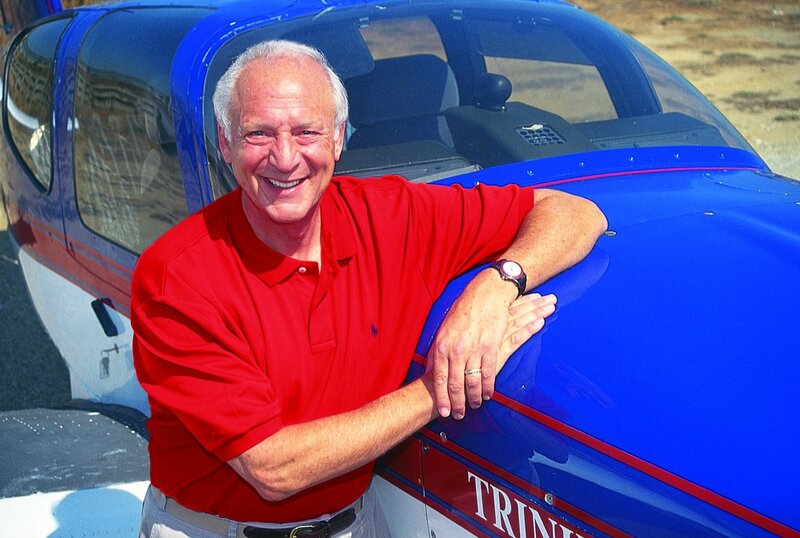 He had previously served as editor of the IAC publication, Sport Aerobatics. As chief pilot for the 1977 Lindbergh Commemorative Tour, he logged hundreds of hours behind the controls of the EAA Air Museum’s Spirit of St. Louis replica. Among his 40,000 logged flight hours, more than 11,500 were instructional hours, and he was inducted into the Flight Instructors Hall of Fame in 1999. Jobst has also served as air show director at EAA AirVenture Oshkosh and piloted a wide variety of historic aircraft including EAA's B-17 Aluminum Overcast. Marvin Easter is a native of the Waterloo/Cedar Rapids IA area and grew up completely fascinated with aviation. One of his childhood heros was the great Johnny Livingston, the father of the Clipwing Monocoupe, once the largest Waco dealer and a local resident. Marvin earned his BA degree from Iowa State Teachers College in 1949 and learned to fly while working as an Iowa high school teacher. After earning his Private and Commercial pilot licenses in a Luscombe 8A, he became a certified flight instructor and taught flying at the Waterloo Flying Service. Later, Marvin joined the Ohio State University Department of Aviation and would spend the next 30 years teaching ground and flight courses. He also had the opportunity to take part in numerous important research studies over the years that have been imperative to the growth of aviation. He retired in 1979, but his passion for airplanes and flying did not end there. He opened a small FBO and rebuilt such aircraft as a Cessna 140 and Piper PA-11, built a Starduster Too and, most recently, restored a prize winning Waco 10 he owns in partnership with several friends. In 1984 flight instruction lured Marvin back to the classroom. After five years of retirement, he returned to Ohio State's Department of Aviation and is still instructing students there today. William Bill Kershner began his flying career at the age of 15, and received his Navy wings eight years later. After flying Corsairs off the carrier Philippine Sea, he became a navigation and instrument training officer, a jet transition training officer and a chase pilot in F9F-6 Cougars. After his military service, Bill worked at Piper Aircraft, demonstrating airplanes to various military commands, and eventually became the supervisor of experimental flight testing at Piper. In 1969, after publishing his first book, Advanced Pilot's Flight Manual, Bill established an aerobatic and advanced instruction school. Over 500 students have completed these aerobatic courses. 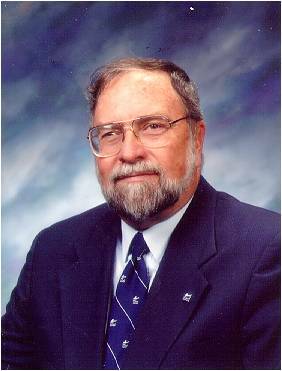 In addition to his numerous flight manuals, Bill is a seasoned writer for magazines such as Private Pilot, Flying and Skyways and shares his skills with others through lectures and spin demonstrations at the University of Tennessee Space Institute, the Naval Air Test Center, the FBI Academy and the Smithsonian Air and Space Museum. 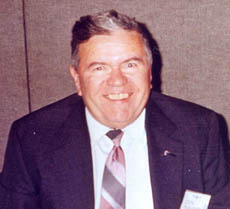 In 1992 he received the FAA's National Instructor of the Year award. Joe Vorbeck, known as Mr. Instrument Flying to his friends, was highly respected among his students and peers for his dedication and voracious appetite for aviation knowledge. A native of Rochester, NY, Joe joined the Marines at 17 and returned home after four years to obtain an engineering degree at Cornell University. He then joined the Army as a 2nd Lieutenant and served for five years as a paratrooper and expert at troop insertion and supply. Too tall at 6' 7 to fly in the military service, he learned to fly on his own and obtained a flight instructor rating. 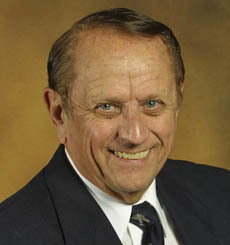 After teaching aviation at the University of Illinois, Joe accepted a position as Chairman of General Aviation Technology at Purdue University in 1964. While at Purdue, he implemented the weekend seminars program. These important courses provided private, instrument and commercial pilots with three days of the latest aviation instruction and training. University of Cincinnati's flight training program. Now deceased, his name lives on at that university in the form of the Joe Vorbeck Aviation Scholarship Fund. Pete Campbell first learned to fly at Gill-Dove Field in Martin, Tennessee after serving in an Army Reserve Infantry Unit. He subsequently transfered to the Army Air Force to train as a glider pilot. Campbell entered the Army Air Force Aviation Cadet program in 1943 and became a Commissioned Officer in January 1944. He flew B-24's in the South Pacific, tallying 56 combat missions with the 380th Bomb Group, 5th Air Force. Pete returned home after the war and opened a small FBO at Union City Airport. In the 50's he was with the training division of California Eastern Airways contracted to train pilots for the Air Force. Campbell joined the Federal Aviation Administration in 1960 as a field inspector. His assignment to the FAA Academy in 1964 lead to the creation of what is considered to be one of the most beneficial safety programs in FAA history. Troubled by the dismal safety record of Certified Flight Instructors across the entire nation, Pete Campbell created teams of FAA Flight and Ground Instructors who traveled the entire country implementing what became "Flight Instructor Refresher Courses", still in place today. Over a period of about seven years and more than 200 courses, training more than 16,000 flight instructors, the accident rate among flight instructors was reduced by more than 50%. In 1971 Pete Campbell created another successful safety initiative by organizing the FAA's "Accident Prevention Program". Also part of his continuing legacy, it placed FAA Accident Specialists in each of the nation's eighty-five General Aviation District Offices, now called FSDO's. Evelyn was born November 4, 1909 in Corbin, Kentucky, the oldest of three children. She was five years old when her father, a conductor for the railroad, moved his family to Tennessee. A few days after Pearl Harbor, WJ joined the Army Air Corps and left Evelyn to take care of the business. While looking for a hobby she took her first flight lesson on October 1, 1944. Johnson soloed on November 8, 1944 in a Piper J3Cub with the minimum 8 hours required before the instructor jumped out leaving the controls to her. She says she’s glad nothing happened because she really didn’t know a lot at the time. Johnon earned her private pilot certificate the following June, added a commercial certificate in 1946 and became a flight instructor in 1947. That afternoon she instructed her first student. She was later named a designated FAA examiner in 1952. 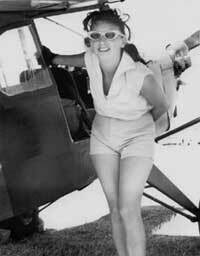 She also became one of the first female helicopter pilots and was involved in the Civil Air Patrol. Known as Mama Bird, Johnson sees problems with today’s “check rides”. She says the instructors don’t teach students how to read a map. Other problems are radio navigation and stalls. Some instructors are afraid to have their students get the experience of stalling a plane. Johnson’s contributions to general aviation go beyond flying and flight instruction. She owned a fixed-base operation, Morristown Flying Service – for 33 years. And recently she celebrated 54 years of service at Moore-Murrell Field in Morristown, Tennessee. Johnson served on the Tennessee Aeronautics Commission for 18 years and was chairman for 4 of those years. She helped allocate state and FAA block grant funds for airport improvement projects throughout the state. For 19 years, Johnson was a Cessna dealer, so she flew and sold just about everything Cessna made. She owned many airplanes, ranging from an Aeronca Champ to the Super Cruiser, but adds she was often too busy with her flight school to fly her own planes. From 1951 through 1954, and again in 1960, Johnson enjoyed participating in Powder Puff Derbies. It was 1955 B.C. – before Castro, she says. She flew in an international women’s air race from Washington to Havana, Cuba. She has stacks of scrapbooks and three dozen or so plaques and awards. 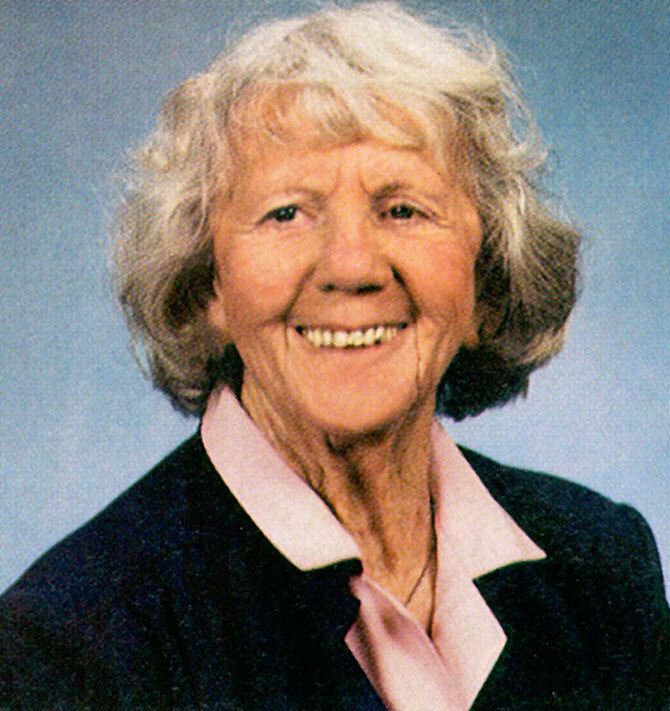 She was the FAA’s Flight Instructor of the Year in 1979. 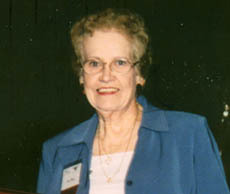 She has been inducted into the Women in Aviation Pioneers Hall of Fame, the Kentucky and Tennessee Aviation Halls of Fame. Johnson is most proud of a small plaque that marks her 1997 induction into the Hamblen County Woman Hall of Fame in Morristown. She says the organization chooses inductees who make good role models for girls. In 55 years of flying, she’s logged close to 57,635 and ¼ hours. That’s equivalent to almost seven years aloft. 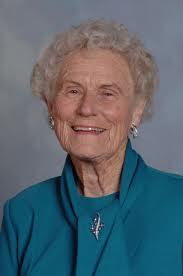 Evelyn Bryan “Mama Bird” Johnson age 102, died May 10, 2012 in Jefferson City, Tennessee.